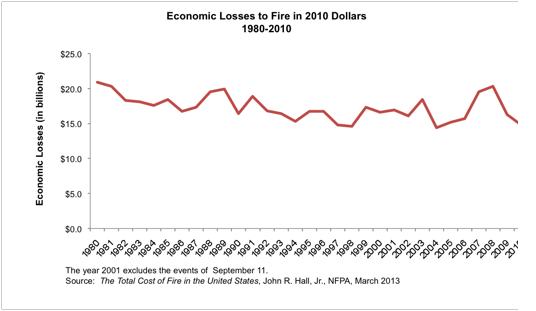 The impact of fire on the economy goes well beyond the more than $11.7 billion in direct property damage. * The National Fire Protection Association (NFPA) estimates that in 2008, economic losses to fire (direct and indirect, reported and unreported) totaled $20.1 billion. NFPA also estimates that in 2008, the total cost of fire was $362 billion, or 2.5 percent of United States gross domestic product (GDP). 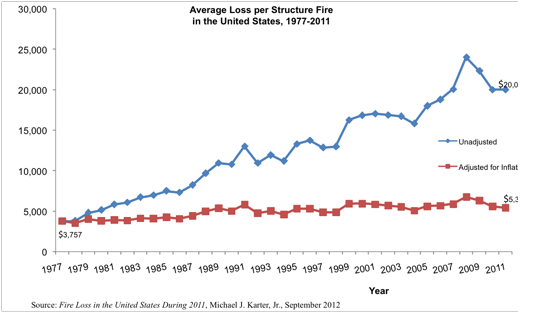 *NFPA.org: The U.S. Fire Problem. 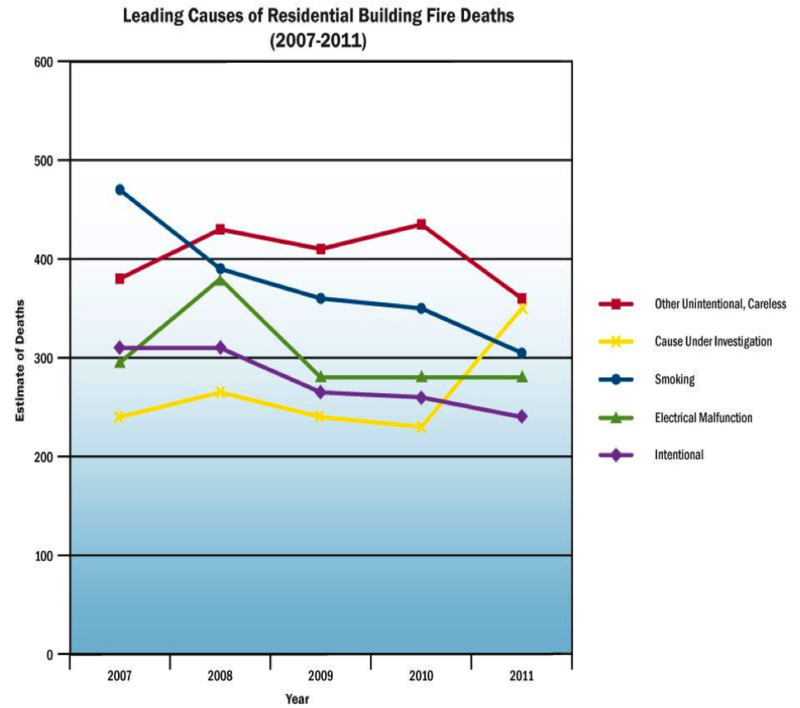 To review additional U.S. fire statistics, please visit NFPA’s website. ***Finkelstein EA, Corso PS, Miller TR, Associates. Incidence and Economic Burden of Injuries in the United States. New York: Oxford University Press; 2006. You have seen how fires devastate lives. Use your personal knowledge to show your community that even when there are no injuries or deaths it can take years to recover from a fire. The loss of a home, possessions and family treasures can haunt people, particularly children, for the rest of their lives. 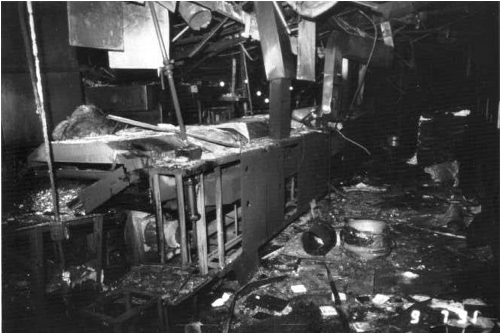 Show how entire communities suffer when fires occur in businesses, places of worship or schools, not just from the loss of services but also the effort to rebuild or replace them. Resources that could be used to improve communities must instead be used to restore them. Fire impacts your community in other ways as well, including lost tax revenue, reduced tourism and business investment, downgraded bonds, reduced real estate values and increased pressure on social services.